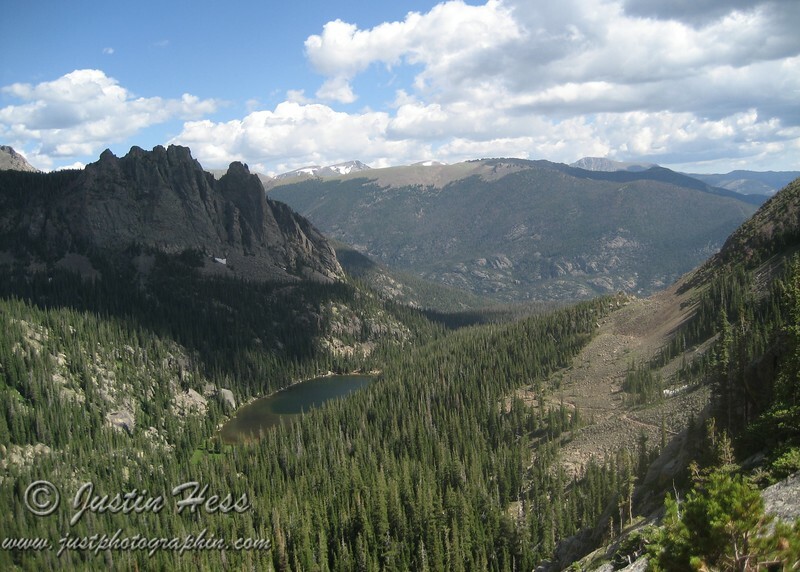 This is a popular hike in Rocky Mountain National Park. Starting at Bear Lake, the trail ascends along the north flank of Flattop Mountain top the top of the Odessa Gorge. The hiking group decided to descend into the Odessa Gorge via a less traveled trail between Lake Helene and Odessa Lake. To complete the loop, the trail continues down passed Fern Lake, Fern Falls, The Pool and eventually follows the Big Thompson River to the Fern Lake Trailhead. Odessa Lake down in the Odessa Gorge.